Located at Main Street level on Citywalk, a new 1,000 s.f. tenant improvement and new exterior facade/entry box for a food tenant. 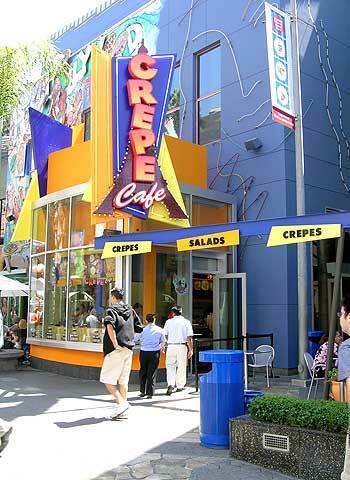 The crepe machines are placed in the large window box to the street for a continuous show experience. The space includes both terrace and interior seating.